Organic farming is increasing in production, consumption and distribution. We take a look at some facts and figures to broaden our understanding. According to a study by France’s Agence Bio, in 2017 organic activity (ie. farming, production and distribution) represented 134,000 jobs in terms of direct employment and had an average annual growth rate of 9.5% for the period 2012 – 2017. The number of organic farming operators has also shown strong growth. By the end of 2017, some 50,044 operators (producers, transformers, distributors and importers) were working in organic farming, representing a growth of 14.7% in one year. Of these, 68% were producers, with 8.3% of French farms following organic agriculture methods. 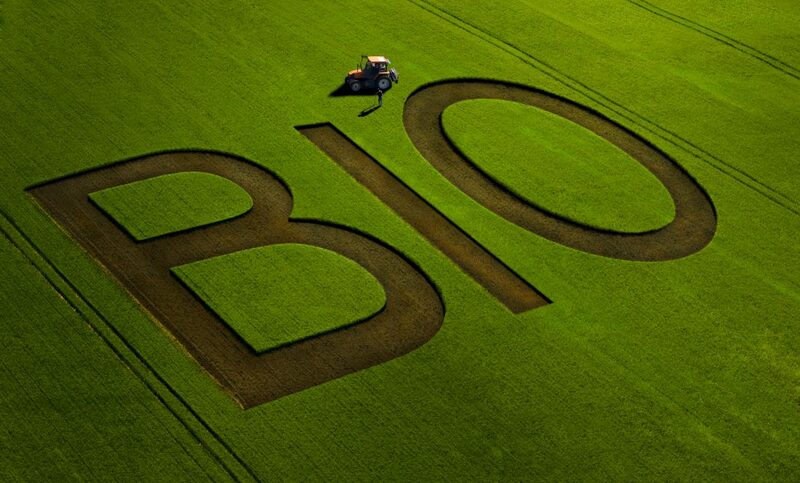 Given the 2017 figures, Agence Bio predicted that the surface area of organic-certified land would grow more rapidly that in previous years: +23% in 2018 compared to 2017, and +13% in 2019 compared to 2018, thus ensuring the ability to meet French consumers’ ever-growing demand for organic produce. Organic agriculture is booming and the same can be said for the rearing of livestock. The number of organically-reared cattle grew by more than 18%, of which 27% were dairy cattle. For sheep, poultry and pigs, growth rates were 19%, 16% and 14% respectively. Growth has been seen across all French regions, but three stand out with growth levels of more than 20%, namely Corsica, Hauts de France and Nouvelle Aquitaine. Currently 60% of the farms and surface area farmed under the AB (Agriculture Biologique – organic farming) label is located in four regions: Occitanie, Auvergne Rhône Alpes, Nouvelle Aquitaine and Pays de la Loire. Organic products represent a market share of 4.4% of all food consumed at home. In 2017, the main categories concerned were groceries, fruit, vegetables and alcoholic beverages. However, a new trend is emerging: transformed products are experiencing more dynamic growth. Distribution circuits are more or less prolific, depending on product category. Specialist organic shops are the most important distribution channel for organic fruit and vegetables, while supermarkets are the main channel for dairy products. Direct sales is the leading channel for wine. In conclusion, the majority of organic farming products consumed in France originate here (69% of organic products are made in France). The future for organic farming looks bright. The French population’s increasing demand for organic produce is driving production in response, which is all for the good of planet Earth.